Eighteen engineering graduate students from Clemson University debuted a new Mini concept car, which they developed with help from the ArtCenter College of Design in California, at BMW’s U.S. manufacturing grounds in Greer, South Carolina on Saturday. Called the Deep Orange 7 Mini concept, here are all the weird design features this young team came up with. Lots of engineering students get to work on cool car-related thesis projects (I myself helped develop a rear-wheel drive electric Jetta convertible), but not too many have the opportunity to collaborate with OEMs to create a concept car from the ground up. The Clemson University International Center for Automotive Research’s Deep Orange program has worked with Mazda, BMW and Toyota over the years to give graduate students the chance to develop an automobile from the initial phase of establishing vehicle-level functional objectives, all the way to manufacturing. 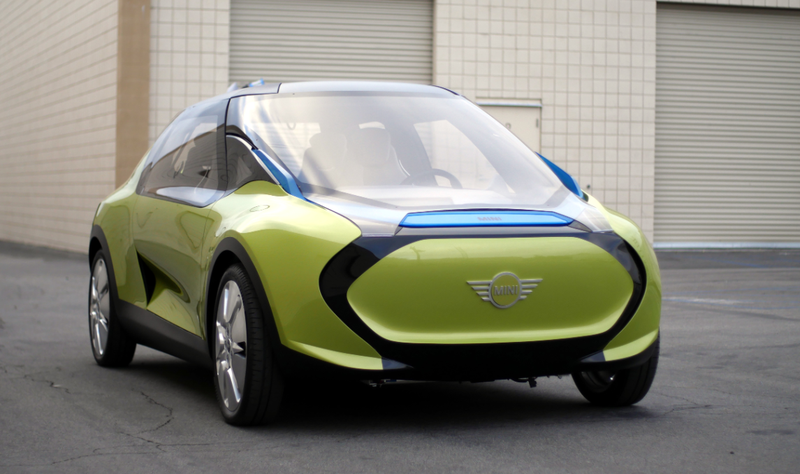 The latest development, Deep Orange 7, was all about coming up with the Mini of the future. The main objectives for the project involved targeting the “premium U.S. market for 2025 and beyond,” maximizing interior space, and creating a fun driving experience. Other clever design solutions include a modular architecture broken up into front, center and rear “modules,” and a Mini Parking Marshal feature that helps drivers in other cars park as close to the Mini as possible without scraping the bumper. It’s a tall order to ask 18 students to not just figure out what the car needs to be, but also to design it, manufacture the parts, and assemble it—all in a span of two years. What they came up with in that limited timespan obviously would have some issues in terms of production feasibility, but as a concept car, it definitely looks the part. And as an exercise that taught the engineers how to come up with functional objectives, how to collaborate with suppliers to design parts, how to manufacture and assemble it all, and also how to work with (read: argue with) designers over styling versus engineering optimization, I wouldn’t be surprised if the project left these students with a flood of job offers from major OEMs.